Sometimes lasting for months, whooping cough can worsen into pneumonia or, due to sheer intensity, cause injuries on the ribs. Often affected are premature babies and sexagenarian adults, although anyone of any age can suffer from the condition. Whooping cough usually resolves before it complicates. However, it can simply return years later. People may get whooping cough more than once. Bacteria in the space between the pharynx and nasal passages are known to cause pertussis. A whooping cough is the body’s way to cope with these organisms. Whooping cough is tremendously contagious. The bacteria become airborne whenever a sufferer coughs, sneezes, or so much as laughs. A person within range can catch droplets of these bacteria either by inhalation or touching. Symptoms usually manifest within seven or 14 days after contracting the bacteria. They generally last no more than 10 weeks but they are known to linger longer. Children have more severe symptoms than adults. In the first phase, the cough can easily be mistaken for a viral cold. This is when the disease is at its most contagious. Lasting for up to two weeks, this phase is characterized by sneezing, runny nose, watery eyes, high temperature, and mild coughing. In the second, the cold-like symptoms seem to fade, but the cough escalates beyond control, so much so the sufferer cannot breathe. The coughing is so hard that the patient emits a whooping sound whenever he or she draws air, hence the name of the disease. Each coughing fit is then succeeded by fatigue and nausea. In the last phase, the cough may get even louder. The fits grow sparser however, putting weeks between them; the patient nears convalescence. The presence of colds may trigger more fits though. To eliminate the possibility of an ordinary cough, the doctor takes note of the symptoms, conducts a physical exam, and prescribes tests. A mucus sample can be checked for presence of whooping cough bacteria. Diagnosing pertussis may be tricky though, as the patient may look healthy between fits. Antibiotics are the most immediate forms of treatment for whooping cough. They curtail the disease’s infectiousness and longevity, especially if taken early. For kids, antibiotics are to be taken for five days as a minimum prior to resuming school. Those who did not get antibiotics should stay away from school for 21 days after onset of symptoms. For adolescents and adults, antibiotics must also be taken for five days prior to returning to work and school or going near young kids. For those who’re into alternative medication, natural antibiotics from mother nature can be a great help. Cough syrups and other drugs available without prescription are not reliable for treating pertussis. To reduce discomfort resulting from the fits, you may use a humidifier. Infants with whooping cough are advised to be lodged in a hospital for convenient medical supervision. Frequent handwashing as a healthy lifestyle habit can curb the spread of this disease. Distancing yourself from people with a long, hard cough can also prevent contagion. Immunizations are available against whooping cough. 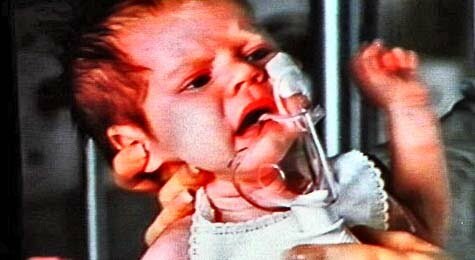 At two months old, children already need to be inoculated against the disease. One booster shot is enough for kids aged 11 and above. Adults no older than 65 can also get a booster shot. Doctors also prescribe this shot to any adult who need to be in contact with infants no older than a year. Medical professionals and healthcare givers need the shot all the more to avoid inadvertently spreading the disease to babies and other vulnerable patients.